In almost 10 percent of bird species around the world, certain individuals postpone their own chance of reproduction to help birds of the same species to care for their offspring. This behaviour has also been observed in certain mammals, fish and insects. Since the days of Charles Darwin, biologists have assumed that all creatures are selfish, and do everything they can to maximize the chance of passing their genes to their offspring. So why do some birds sacrifice themselves for the sake of others? What do they gain by not producing their own brood and wasting energy to help others? Kingma concludes: "Birds see their territory in the same way as we see our house. Some species of "home-owners" allow other birds to live in their territory and help them to care for their offspring. This may seem logical if the birds living in the same territory and helping each other are related. But this isn't always the case. My research reveals that the home-owners get much more help if the helpers stand to inherit their territory in the future. After all, you'd be much more inclined to help someone maintain their home if you thought you'd inherit it one day. This is precisely what a lot of birds do: they help the current owner so that the territory will be worth more when they inherit it." Kingma sees two benefits in this principle. 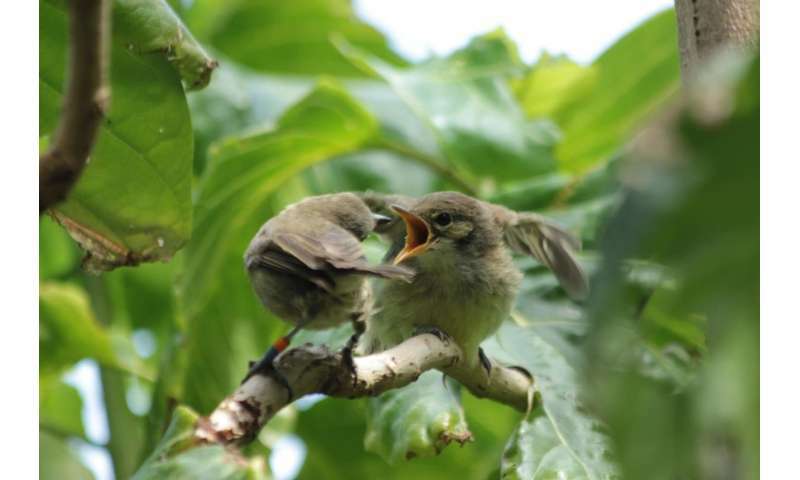 "Showing that you're prepared to help increases the chance that the nesting pair will tolerate you in their territory, which may ensure that you inherit the territory later on. In addition, if you help with the current owners' kids, you'll create your own future little helpers. By the time the territory is handed over, the helpful bird will have its own army of little helpers ready and willing to assist." The concept of helping each other is not strange to humans, but biologists have been puzzling about why wild animals would do this. This research shows that animals are capable of planning and modifying their behaviour to achieve future goals. Kingma's research was funded by a Veni grant from the Netherlands Organisation for Scientific Research (NWO).